In 2017 we’ve talked about a lot of great topics. So to finish off the amazing year we’ve had, here’s a little reminder of all our top topics! Earlier in the year we shared about how important the time between therapy sessions was for all the children in our care. We continue to encourage all the children and parents, not to just practice, but to implement the things we work on during the sessions into their every day lives. This way the progress being made will be continuous. Encourage the world to stop looking at these children and saying, ‘oh poor little thing’ and instead say ‘wow!’ Let’s really pay attention to all the amazing things they achieve daily from sitting to standing and just showing the world, they can achieve great things. These achievements may be dramatically different to those of other children their age, but it doesn’t matter, let’s celebrate their hard work and determination! The children we work with will most likely continuously face regular operations during their lives, but instead of letting those operations set them back, we want to make post-operation therapy a standard procedure. Using therapy correctly post op could have a massive positive impact on their recovery. We know these operations will continue to happen, so let’s make sure we help increase their abilities as much as we can! Medical terms will continue to surround these children’s lives and, so we feel it’s important for you understand as much as you can. We have a list here to help, and we always encourage you to ask us if we use a term or phrase you don’t understand. We want to help everyone understand the words we most often use on our social media and blogs. 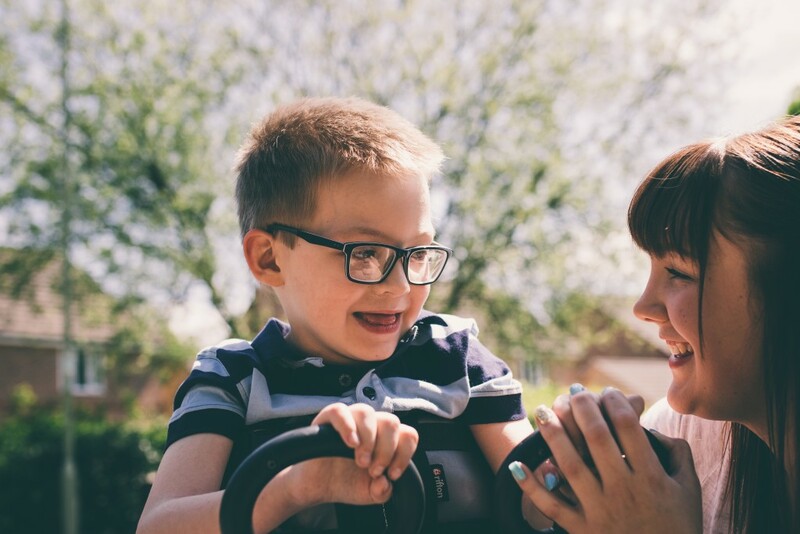 We aim not only to support children’s abilities and achievements, but also their parents. That is why we write our blogs on subjects we feel keeps everyone informed, as well as assisting and facilitating parents who have a child with a disability. We want to show everyone just how amazing all the children we work with are and how much their parents want to improve their lives. So if you have a subject you would like us to talk more about next year please let us know. Thank you for being a part of the Conductive Care family. If you’d like to keep up to date with more on the goings on within Conductive Care, who not sign up to our newsletter at the side of this blog? This monthly newsletter will be full of news, information and updates from the team. We can’t wait to keep on growing in 2018 and look forward to sharing this journey with you all. Warm Seasons Greetings from all of us at Conductive Care! Hope – A Good Or A Bad Thing? Conductive Education – What Is A Sitting Programme?